Visit Pensacola Beach Florida! Whatever your dream beach vacation looks like, Pensacola has it. Want a relaxing, low-key getaway in a quaint beach bungalow? Want a sport fishing, parasailing or scuba diving adventure? Or how about luxurious spa treatments, fine dining and shopping? Or nature trails, dolphins and shorebirds? Whatever you want on your vacation, Pensacola has just what you’re looking for when it comes to the perfect place to vacation! 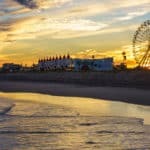 The Pensacola Bay Area offers big family fun with attractions and activities of every kind, and I could go on and on with a list of activities. Let’s not forget the beaches. Swimming in gentle surf, building castles on the sand and fresh seafood lunch in a casual waterfront restaurant add up to quiet, connected time together with your family or partner. Add in a reasonable price tag, and everyone is happy. Come to the Pensacola Bay Area and discover why it’s called one of the top family-friendly destinations. 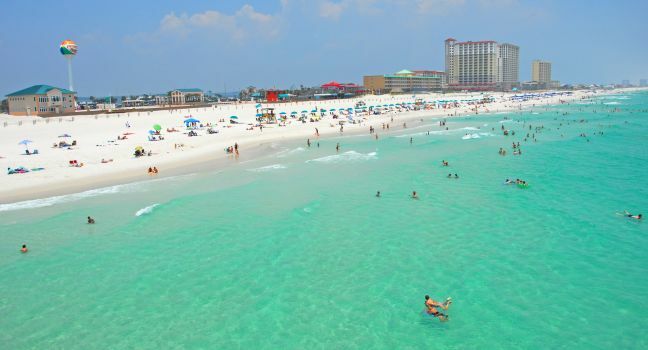 Visit the area beaches in Pensacola and along the Emerald Coast. Over the course of a year, the temperature typically varies from 42°F to 90°F and is rarely below 29°F or above 95°F. The warm season lasts from May 20 to September 27 with an average daily high temperature above 84°F. The hottest day of the year is July 19, with an average high of 90°F and low of 75°F. The cold season lasts from December 1 to February 25 with an average daily high temperature below 66°F. The coldest day of the year is January 18, with an average low of 42°F and high of 60°F. There is really only one close airport to Pensacola Beach, Florida. This is of course the Pensacola International Airport which is 7 miles away from the Pensacola beach area. To create a fair watch, go to AirFareWatchDog which will alert you when the flights are going down in price. Also check my airfare tips on how to make sure you are getting the lowest fare. For finding the lowest fare, go to CheapFlights. I find them to be the best for flight comparison, and getting the best deal if you are ready to purchase. Once you have your airfare, make sure you reserve your airport parking ahead of time. You can Save On Airport Parking and not have the last minute hassle (been there) of trying to get parking reserved. From military museums to the beautiful semitropical surroundings of the “World’s Whitest Beaches,” Pensacola offers a little something for every visitor. Why leave your exciting vacation up to the schedules of public transportation or expensive cabs and shuttles? With a cheap Pensacola car rental, you can explore everything you want to see in The Cradle of Naval Aviation on your own time. Your trip to Pensacola is an once-in-a-lifetime adventure—don’t spend a minute of it waiting for a taxi to come get you. CarRentals.com has a wide breadth of Pensacola car rentals to choose from, all at rates you can afford. Stop dreaming and start planning your Florida getaway. Casino Beach Bar and Grille is known for its beachfront dining featuring fresh island cocktails, quality coastal cuisine, and picturesque views. Go on over and check out their weekly drink specials, happy hour and special events featuring live music. For more information call 850-426-4283 or visit Casino Beach Bar & Grill. 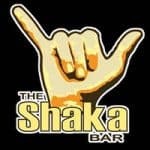 The Shaka Bar is tucked away behind Aloha Wine & Liquor on Pensacola Beach. This little Tiki Bar is home to fishermen, surfers and friends of the Aloha Family. There is a casual outside deck bar overlooking Little Sabine Bay that is open March thru October. The small bar upstairs is open year round. For more information call 850-932-2411 or visit them on Facebook. Peg Leg Pete’s sells only oysters, shrimp and a few sandwiches. There is always a great selection on the jukebox or a talented musician on the stage in the dining room. Peg Leg Pete’s is one of the hot spots on Pensacola Beach. Locals loved the year round great prices. Tourists are treated as if they were a local. 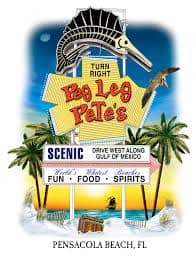 Peg Leg Pete’s represented Pensacola Beach hospitality at its best! For more information call 850-932-4139 or visit Peg Leg Pete’s Oyster Bar. Paradise Bar & Grill on Pensacola Beach invites you to “boat it, bike it or walk it” to the hottest spot on the island. On any given night you may be treated to national touring bands or one of the best local entertainers. Sip a cocktail and enjoy the view while the grill prepares one of its famous burgers, sandwiches or seafood dishes. For more information call 850-916-5087 or visit Paradise Bar & Grill. They have the best by the glass wine list in the area, there are always 30 or more wines offered by the glass. Regular wine tasting every Friday beginning at 5:30; for only $5, sample six fantastic wines and then receive $5 off any bottle to go. This is a very cozy environment where you can relax, take your time and enjoy. For more information call 850-916-1009 or visit Wine Bar & Bistro. Native Café is a place to taste all the flavors that the Gulf Coast has to offer. It is known to the locals as being the best breakfast restaurant on Pensacola Beach. Tantalize your taste buds with their hearty homemade breakfast, sensational southern-style sandwiches, and Gulf seafood. You must try their signature dish, The Original Florida Fish Tacos, which has gained praise from local and distant communities as among the best anywhere. For more information call 850-934-4848 or visit The Native Café. The Grand Marlin offers a tranquil, relaxed atmosphere where patrons can enjoy the most memorable dining experience on the Gulf Coast. They have the area’s best selection of seafood, highlighted by daily specials from the kitchen of prize-winning Chef Gregg McCarthy. Printing its menu daily, The Grand Marlin ensures its choice of fish and shellfish will be the freshest on the Gulf Coast. And for those in the mood for something other than seafood, they offer steaks, poultry dishes and other fare to meet your every taste. They also have the area’s best-stocked, most tempting oyster bar where the finest oysters are shucked to order. It’s a perfect place for a quick lunch, to meet friends for their daily Happy Hour or to sample the specialty baked oysters. For more information call 850-677-9153 or visit The Grand Marlin Pensacola. Restaurant IRON serves southern contemporary cuisine fueled by local vegetables and herbs from the creative minds of true Southerners. 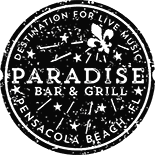 They bring together fresh local and regional specialties with the finest flavors and ingredients across the nation and beyond. For more information call 850-476-7776 or visit Restaurant IRON. Global Grill is an upscale tapas bar and restaurant in Downtown Pensacola. Executive Chef Frank and his wife, Jane, serve up the tapas style of dining. The Global Grill offers unique culinary creations combined with Mediterranean, European, Asian and American influences. The Global Grill takes pride in using the freshest local seasonal seafood and produce to create innovative and exciting tapas and main plates. For more information call 850-469-9966 or visit Global Grill. Jackson’s Steakhouse is the cornerstone of Pensacola’s restaurant scene. They use only the freshest local and seasonal ingredients possible, and pair them with Midwestern wet-aged beef that has been selected by hand, and the best game meats available. The team at Jackson’s continually strives to provide an unparalleled food and wine experience for every guest, every night. For more information call 850-469-9898 or visit Jackson’s Steakhouse. Tucked away on a narrow strip of land on the extreme western edge of Florida lies Perdido Key, a barrier island bookmarked by rolling, white-sand dunes and stunning views of the calm Gulf waters on its southern border and abundant wetlands, estuaries, and wildlife to its north. Spanish for “lost island,” Perdido features several world-renowned parks, including Johnson Beach at Gulf Islands National Seashore, Perdido Key State Park, and Big Lagoon State Park. For more information call 850-492-4660 or visit Perdido Key. 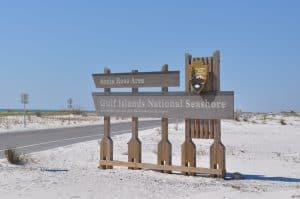 Recreation, exploration, and education…you can do it all at Gulf Islands National Seashore. Millions of visitors are drawn to the islands in the northern Gulf of Mexico for the white sandy beaches, the aquamarine waters, a boat ride, a camping spot, a tour of an old fort, or a place to fish. Gulf Islands National Seashore stretches for 160 miles along the northern coast of the Gulf of Mexico in Mississippi and Florida, and includes barrier islands, maritime forests, historic forts, bayous, and marine habitat. There is a an incredible variety of activities for visitors throughout the seashore year-round. For more information call 850-934-2600 or visit Gulf Islands National Seashore. They offer two hour to full day private and shared cruises aboard their vessels. Sail, snorkel, observe dolphins and other wildlife, do some beachcombing, enjoy the sunset, paddleboard, dine, and more! Private and shared trips are available year round. For more information call 850-723-6142 or visit Jolly Sailing. Aquatic Charters offers 2 hour Dolphin adventures in Pensacola Bay and surrounding waters. Chase-n-Fins is a 50 foot twin diesel converted Navy Launch certified for 49 passengers. With plenty of open deck space, passengers can move about to position for the perfect photo or take advantage of the shaded area. The crew of Chase-n-Fins is very knowledgeable about Dolphins and the area marine life as well as the local and historical landmarks. The Dolphin are willing to entertain you in their natural environment. 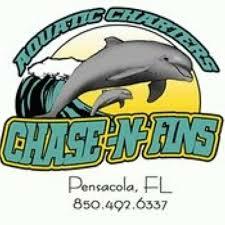 For more information call 850-492-6337 or visit Chase-N-Fins. Located in the heart of Pensacola Beach at the Portifino Boardwalk, they are easy to get to and accessible by trolley. Established in 1974 for the watersport enthusiast, Key Sailing is, and remains, the premier facility for paddle-boarding, Hobie sailing, parasailing, wave runners, kayaks, pontoon boat rentals and much more! For more information call 850-932-5520 or visit Key Sailing. This property is 2 minutes walk from the beach. This Pensacola Beach hotel overlooks the Gulf of Mexico. The hotel offers indoor and outdoor swimming pools, 3 on-site restaurants and a free 24-hour business center. H20 A Cajun-Asian Grill at the Pensacola Beach Hilton is open daily for breakfast, lunch and dinner and offers a beach view. Guests can also enjoy sushi in the hotel’s Bonsai Sushi and Lounge or a drink in Latitudes Beach Bar. For more information, pricing, or to reserve your room, visit Hilton Pensacola Beach. Featuring direct access to Pensacola Beach, this hotel offers a hot buffet breakfast and suites free WiFi. Facilities include an outdoor pool, and Gulf Islands National Seashore is 6 minutes’ drive away. A fitness room, 24-hour front desk, an on-site cash machine are available at this Pensacola Beach SpringHill Suites. Laundry and dry cleaning facilities are offered as well. The breakfast room offers panoramic views of the Gulf of Mexico. The SunRays Sandwich shop offers a variety of sandwiches and snacks. For more information, pricing, or to reserve your room, visit SpringHill Suites by Marriott Pensacola Beach. In Pensacola Beach, this Florida resort features an outdoor pool and on-site restaurant. All rooms have free Wi-Fi, and the resort is less than half a mile from Pensacola Beach Gulf Pier. A fitness center, bike rental, and seasonal paddle board lessons to all Margaritaville Beach Hotel guests. The entertainment staff offers classes such as and margarita-making for adults and a kid’s club. Frank & Lola Love Pensacola Café serves fresh seafood as well as an extensive burger all day. Seasonal LandShark Landing Beach Bar offers drinks and snacks on the beach with live music during weekends. For more information, pricing, or to reserve your room, visit Margaritaville Beach Hotel. This property is 2 minutes walk from the beach. This beachfront hotel boasts an outdoor swimming pool with a cascading waterfall, 2 hot tubs, and a 250-foot heated seasonal lazy river. A Gulf-front sun terrace with a fire pit is offered on site. The fitness center has a beach view. Seasonal children’s activities, including poolside movies and pirate and mermaid shows are available. Riptides Sports Grill and Beachfront Tiki Bar serves casual American cuisine for breakfast, lunch, and dinner as well as cocktails. For more information, pricing, or to reserve your room, visit Holiday Inn Resort Pensacola Beach Gulf Front. Having lived in Florida for many years, I never have been to the Pensacola Beach area for a stay. Drove though on business a few times. Now that I live in the Midwest, this is a very short trip to a nice beach. I like to deep sea fish and go on a sailboat when I go to a saltwater beach, you have given me a couple of choices for these activities. Now I just have to put it on the calendar to make the trip. Yes, you do John! Pensacola is really a great beach destination, with so many things to do and see…and of course to play on the water. Thank you for reading Visit Pensacola Beach Florida! 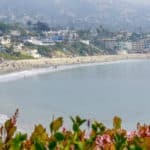 Great information about such a beautiful place. I have visited Pensacola one time in my past and loved the pristine white beaches. 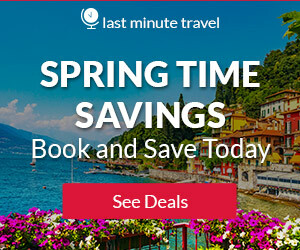 This site makes it so easy to plan a vacation without having to leave the site. I also like the information about the other beach destinations. I plan to retire in a beach community and Pensacola is on the short list. I am glad you enjoyed Connie 🙂 You will love retiring to such a beautiful place! Thanks for visiting! I would stay at Blue Sky’s Bungalow located on Perdido Key. You would feel like you were in heaven 🙂 Thank you for reading Arta! 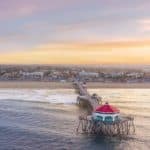 Great information for a truly beautiful place. I have visited Pensacola one time in my past and loved it so much, it is on the short list of places to retire! I did not know there were so many things to do! I absolutely love beaches and love to visit all I can. I liked reading all the information on other beaches. Thank you Connie. I too love visiting beaches, and will be retiring to Florida very soon. I can’t wait! Yes, you can do both in the same trip and enjoy warm weather, and beautiful beaches~! Pensacola Beach is a gem on the Emerald Coast! Hey, I sure enjoyed reading about Pensacola Beach. My husband and I were there many years ago. I remember specially the beautiful white sandy beaches and purchasing 5 lbs. of fresh shrimp from a local vendor who had his seafood cart. We ate the who thing in a matter of couple of days in our motorhome. There are also lots of motels to stay along the beaches and it was wonderful to hear the waves crashing to shore from our room. Your list of accommodations are very helpful! Speaking of food, we did go to an oyster barâ€¦ canâ€™t remember what it was call, but it sure was fresh and presented so well we had a second serving. Now that Iâ€™ve read your article and seen all the beautiful pictures, itâ€™s making me realize I just need to make another trip back. Yes you do need to go back Monica. I think once a person starts visiting Pensacola Beach, or anywhere along the Emerald Coast for that matter, that it will make them want to keep going back! Thanks for visiting Beach Travel Destinations! I like the website. It truly offers a 1 stop shopping and answer all my questions about heading to the beach. I don’t have to check a different website for the best restaurants in the area because your site has them listed and ranked. So hotels, airfare, restaurants, beach gear that’s 4 different websites that I would have had to go to know what’s best. Well Frank, I am so glad you like and agree. I am trying to provide everything you need in one website for planning, as well as for thing you need to take. I am glad you enjoyed reading my post, Visit Pensacola Beach Florida! Another great post! I love the format you’ve adopted for all of these, they make taking in the information very easy and intuitive. You’re really making quite the argument for me to come visit some of these places. I can’t believe how blue that water is! Thanks for the review of Pensacola! You are so welcome! And yes, the water at Pensacola beach is an amazing blue. You will absolutely love it here. Thanks for reading! I was stationed in the military near Pensacola and would go to Pensacola Beach just about every weekend! I miss it. Nothing beats those white sandy beaches! I know many people like to visit the National Naval Aviation Museum at the Navy base there in Pensacola. Also, on Wednesdays, the Navy Blue Angels practice over Pensacola Beach which is always a sight to see. Thanks for the great information. Time to plan a vacation! Thank you Johnna for your great comments. I think if I lived there, I would visit Pensacola beach every weekend too! My girlfriend and I live in the uk and were just thinking about a trip to Florida next summer. Well, you just told me where to go, sorry for my ignorance but I absolutely didn’t know that Pensacola was that beautiful! Here in Europe, we hear so much about Miami and Palm Beach, that the rest seems like its not even there! I bet there is so much to see! Thanks a lot! Now we must really consider visiting Pensacola and the Emerald Coast! Yes, I actually like the Gulf side beaches of Florida better. It is less expensive, beaches are absolutely beautiful, and the water is warmer and calmer. If you want to surf, then yes you will to go to the Atlantic side of Florida. There is a lot to see and do in Pensacola being on the Emerald Coast. You can experience a lot of different beaches if you want or just stay in Pensacola. Thanks for reading! I’ve been through much of Florida but I don’t recall ever having been to Pensacola. This gives me a great head start and it sure looks like a terrific place to visit, especially for a Canadian in the middle of February! I totally understand, as I lived in Alaska for 22 years. I don’t ever want to live in cold again. And yes, the Margaritaville Beach Resort is my number 1 pick for the area. An absolute great place to stay on Pensacola Beach! Yes, Tampa is not too far away. That is my hub to fly into, then of course I head to a Florida beach 🙂 The Gulf side of Florida is awesome! Wow, this is everything you could want to know about Pensacola. I’ll be taking vacation this summer and you are definitely pushing me in that direction. getting information like this make travel planning so much easier. Yes, it does Doug and you would love Pensacola 🙂 Hope you make up your mind to go. If you need any more information, just let me know! Very informative and helpful. Concise and concrete information that should aid anyone planning a vacation to Pensacola. Thank you for taking time to write this all down! You are welcome Michael! You will love it in Pensacola. It is so close to so many of the beautiful Florida beaches. Thank you for reading Visit Pensacola Beach Florida! Hi Leahrae. Great article. You are obviously deeply passionate about beach travel. Your description of the resorts is well researched, and in depth. Almost pushes me to hop on a plane right now. Continued success with this website. Thank you Francis, Yes I do love beach travel and I also love sharing these experiences with others. I hope that you will visit soon. It really is beautiful in Pensacola! Wow! I’m blown away by your site! You’ve covered everything we need to know about traveling to beautiful Pensacola. You’ve saved us hours and hours of research. You’ve definitely sparked our interest in visiting this area—especially since you’ve given us so many tips about the area. Thanks for including links, the great video and suggestions. I look forward to more posts about beach travel. I am really glad you enjoyed Diane 🙂 It is my goal to have all the information you need concisely presented in one post. No more hunting down information that you will need for your trips. I hope you can plan a trip to Pensacola soon, you will love it! You are welcome Jasmine. Yes, with so many great things to do in Pensacola and the whole Emerald Coast, you have lost to keep you busy for days. Wonderful Florida beach location! I love this website, everything is categorized so neatly there’s no shuffling around to find a certain post or page, the photos are just gorgeous. this website has so much information about everything your looking for. The weather chart is a great idea.putting restaurants in the mix, well that’s just a plus. Thank you Carmen, I am glad you like! I know when I travel, this is all the information I like to have. So I am glad it is of benefit and helpful. Thanks so much for reading about Pensacola Beach Florida.